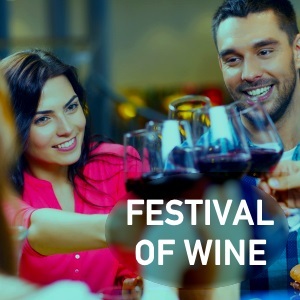 When I launched my Festivals of Wine in January, little did I know that by the end of August all tickets would have been snapped up, and every exhibitor table taken. Our first event in Glasgow was in June, and was sold out by February, and now both London in October and Edinburgh in November are sold out too. The amazing value of our masterclass programmes has been appreciated with all sessions selling out even earlier. The diversity and quality of exhibitors is more than I could have dreamed of, with so many smaller, specialist wine retailers on-board as well as the best of our national wine merchants and importers. And the festivals have global reach, with 21 wine estates attending from 12 different countries. If you missed out on tickets this year, please join the Festival mailing list for access to pre-sales tickets for the 2018 events. Potential exhibitors are very welcome to apply for an exhibitor pack. Until the 1st of October 2017, the Carluccio’s restaurant chain has a special offer on four wines from slightly less well-known Italian regions. Carluccio’s say “Each has been chosen by Carluccio’s wine experts for its unique properties and for being best in class,” and the wines are a Pecorino from Abruzzo, a Bianco Sicilia DOC made by Planeta, a Frappato by Caruso & Minini, also from Sicily, and a dry, new style Lambrusco from Emilia Romagna. You can also visit carluccios.com/wine-explorers to download a voucher entitling you to buy any of the wines for just £10 when two people have a main course each. 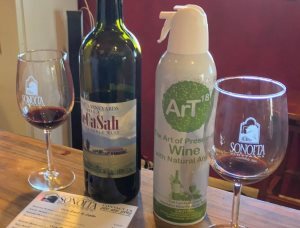 A rather over-inflated press release from the Purdue University in Indiana carries the headline “Innovation seeks to keep wine fresh for weeks in opened, unfinished bottles.” It turns out the innovation, developed by Purdue University graduate Ryan Frederickson, is a can of Argon gas that is sprayed into the bottle. Because argon is heavier than oxygen, it forms a blanket over the wine which in theory prevents oxidation. The press release acknowledges that “Wine preservation is a growing industry, with some devices costing several hundred dollars,” but not that Mr Fredrickson’s $20 RRP invention is as old as the hills, with half a dozen apparently identical products already on the market – google ‘argon gas wine preservation’ and pick up, for example ‘Private Preserve’ spray for £12.99. 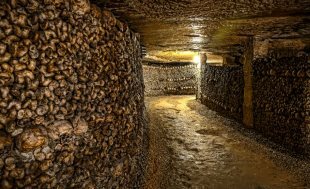 At the same time as I was having a short break in Paris, news broke that thieves had used Paris’s famous catacombs to break into a private cellar, and steal €250,000 worth of wine. I can categorically deny that this had anyhing to do with me. 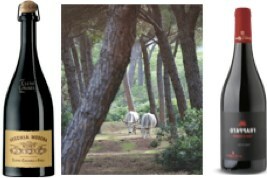 300 bottles (absolutely delicious) were stolen from the cellar near the Jardin de Luxembourg. A list of exactly what was stolen has not been made public, but is described as ‘Grand Cru wine’ in the French media. By the way: Le Coq Rico near Montmartre and Le Vent d’Armor near Notre Dame are two of my top Paris restaurant tips from my visit. But not sure if they’ll allow Grand Cru BYOB. The phenomenon of ‘blue wine’ may have completely passed you by, but last year a Spanish wine, coloured bright blue using plant extracts, hit UK shelves and received plenty of media attention. 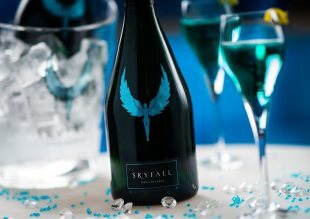 Since then, other entrepreneurs have launched a blue Prosecco, and now, a premium blue ‘cava’, Skyfall, retailing at a colourful £39.99 per bottle. It’s made from the cava grapes, in a cava house, in the heart of cava country, but because it is blue it cannot be labeled as cava. I’m not sure if it has a retail listing as yet, and the producer expects it to sell by the glass in bars at around £10 – £12.